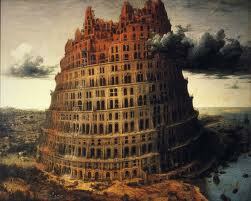 A stranger on the other side of the world taught me that the Tower of Babel was a blessing. Let me explain. I was tooling around Facebook late last night when a lady I’ve never met accepted my friend request. Her name is Hulya, and she lives in Turkey. I had sent her a friend request on impulse. First, let’s get this out of the way—she is pretty. Okay. This certainly was a factor in my friending her.But it just so happens that I have a soft spot in my heart for Turks. I have taken special notice of Turkish people ever since I met Songul, who is one of the most wonderful people I have ever known. She and I became friends around 2002 when we were both servers at the Egan Convention Center. Before I ever had a conversation with her, I managed to hit her with a speed rack while we were setting the ballroom for a large dinner. I was moving too fast and couldn’t see her because the rack was over six feet tall. Once I realized I had hurt her, I felt awful and tracked her down in the huge building to apologize profusely. I guess I got her attention, because we became close friends and even went out on several dates. I was attracted to her, but the time wasn’t right for either of us to get amorously involved, so we just stayed friends. Songul turned out to be a special friend. She is honest, gentle and kind. She’s tough, too. As she told me stories about her upbringing, I learned that she got in trouble several times for beating up neighborhood boys back home in Istanbul, some of them older and bigger than she was, because they had harassed her younger siblings at school. Songul told me that in many rural areas of her country, the people live simple lives of poverty. And yet these people are incredibly kind. If you are a stranger wandering through their region, they will invite you into their homes for shelter and feed you as you are passing through, just as they would if you were family. This act of God is considered a curse, and it certainly put a great impediment in place to govern human activities. 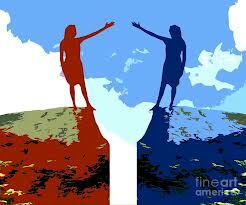 All of us have experienced the frustration of dealing with linguistic and cultural barriers. But have you ever noticed how sweet human interaction can be with someone of foreign persuasion? Coming into contact with another’s humanity—thoughts, feelings, anecdotes from that other person’s life—is a remarkable experience when it comes in a different cultural wrapping. We become desensitized to things we experience frequently. What is commonplace doesn’t get our attention anymore. But interacting with someone from a much different part of the world can cause us to experience humanity in a way that is fresh and penetrating. This is what I enjoyed with Songul and, in a less intense way, with my new Facebook friend Hulya. After I got the e-mail notifying me that Hulya had accepted my friend request, I went onto Facebook and sent her a message. I thought she spoke English since she and I have a mutual friend who is American. But Hulya’s response was in Turkish! I just sat there for a minute looking at the letters laid out in unfamiliar patterns. I didn’t know what to think of it. Then I realized that she was responding to my communication the only way she could. And even though I didn’t know precisely what she was saying to me, the broader message was clear: Hello. So I typed in a response to her response: “I can’t read Turkish.” She came back with another message in Turkish! I wondered briefly if she could be reading my messages, but then I realized that if she could read English, she would also be able to write in English and would certainly start doing so with someone who had just told her he couldn’t read Turkish. But she hadn’t. I typed in another message: “I wish I could read your words.” She, in turn, responded in Turkish. This exchange was a strange undertaking. On the one hand, it didn’t make traditional sense to be sending and receiving messages we both knew couldn’t be read. But in a raw, elemental way, what we were doing was perfectly natural, and I started really enjoying myself. Hulya was too, obviously, because she kept coming back with responses. I typed in another message: “You are a pretty lady.” It gave me an unusual thrill to tell her this even though I knew she wouldn’t understand it. I have no idea what she meant, but I can’t help but wonder if she wasn’t lamenting the fact that we couldn’t enter into conversation. And I would have liked to talk with her; that’s why I sent her a message in the first place. But what happened instead was a brand-new experience for me (perhaps for her too). I sense that our impromptu “conversation” was an important event. I feel different about people in general today. 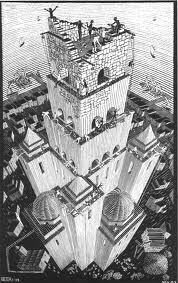 In a fundamental way, the Tower of Babel didn’t change anything. Hulya and I got on famously. 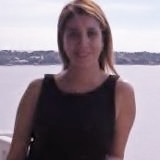 This entry was posted in Friendship, Tower of Babel and tagged beauty, communicate, culture, feeling, feelings, friend, friends, friendship, gentleness, honesty, humanity, kindness, language, read, speak, talk, Tower of Babel, warmth, write. Bookmark the permalink. I like this little story, it reminds me how rich human interaction can be. Just the effort made on her part, and yours, to reach out brings with it so many thoughts and emotions. All of the sudden this complete stranger on the other side of the world becomes so important. What would communicating with her bring? Surely lasting friendship, romance, inevitable trips to Turkey, sharing two worlds together, enlightenment; mercy! who can fathom the possibilities? Now you may think I’m jesting but stranger things have happened and this is the reality when ever we meet a stranger; often they enhance our lives and maybe not in such dramatic ways……. but sometimes. Fred, I love the unfettered way you think about these things! And you’re right; there’s no telling what might happen in such a situation. But regardless of the long-term possibilities, it sure was a refreshing departure from the ordinary! I’ve never experienced anything like it. Life can be so wild sometimes!